RPACT® (R Programming for Adaptive Clinical Trials) was founded by Gernot Wassmer and Friedrich Pahlke in May 2017 as a company to offer programming, training, and consultancy in confirmatory adaptive designs using the R software. The idea is to establish an industry collaboration with the focus on the application of adaptive clinical trials using R. Particularly, the methods described in the recent monograph of Wassmer and Brannath (published by Springer, 2016) will be implemented and made available for the public. R is free of charge and there is increasing interest by the industry to use R. At the moment, no R package is available for performing confirmatory adaptive designs in a comprehensive sense (e.g., simulation and analysis for continuous, binary, and survival endpoint). Nevertheless, for the design of group sequential tests there is the R package gsDesign, developed by Keaven Anderson (copyright Merck Research Laboratories), which is well established and covers all relevant designs. Among the over 10.000 available packages (May 2017) there are several packages that address the issue of adaptive designs, most of them with special reference to research results from the authors, but none covers the broad range of applications that is nowadays available. As our business model, for pharmaceutical companies and CROs, we offer chargeable consultancy services and training in adaptive designs. Gernot Wassmer is adjunct Professor for Biostatistics at the Institute of Medical Statistics, University of Cologne, Germany. He received his PhD 1993 at the University of Munich, Germany, and was a Research Fellow at the Institute of Statistics, University of Munich, at the Institute for Epidemiology, GSF Neuherberg, and at the Institute of Medical Statistics, University of Cologne, Germany. His major research interest is in the field of statistical procedures for group sequential and adaptive plans in clinical trials. 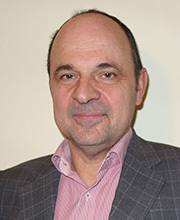 He has been a member in independent data monitoring committees for international, multi-center trials on different therapeutic fields and also serves as a consultant for the pharmaceutical industry. In 2017, he was a guest professor at the Medical University of Vienna, Austria. Gernot Wassmer's list of publications can be viewed here. 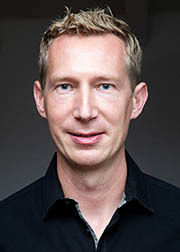 Friedrich Pahlke is an independent consultant for computer and data science, medical statistics and business analytics. He received his PhD 2008 at the University of Lübeck, Germany, and was a Research Fellow at the Institute of Medical Biometry and Statistics, University of Lübeck; major research interest during that time: statistical analysis of genetic data with R.
He has a special research interest in the field of randomization for clinical trials; since 2002 he has implemented, validated and simulated several randomization algorithms in Java and R, incl. covariate and response adaptive randomization methods (e.g. Biased Coin Minimization, Doubly-adaptive Biased Coin Design). Since 2013, he has been working on the Evidat platform with the goal of identifying, standardizing and automating frequently recurring data analysis processes with SPSS, Java and R.
Friedrich Pahlke's list of publications can be viewed here.